The first thing that came to my mind when my boss said: “I’m sorry Guido, we lost our big client, in two months there will be no more work for you” was “ok I’ll ride to Aquasanta Terme for the Holy Water Death Race then”. 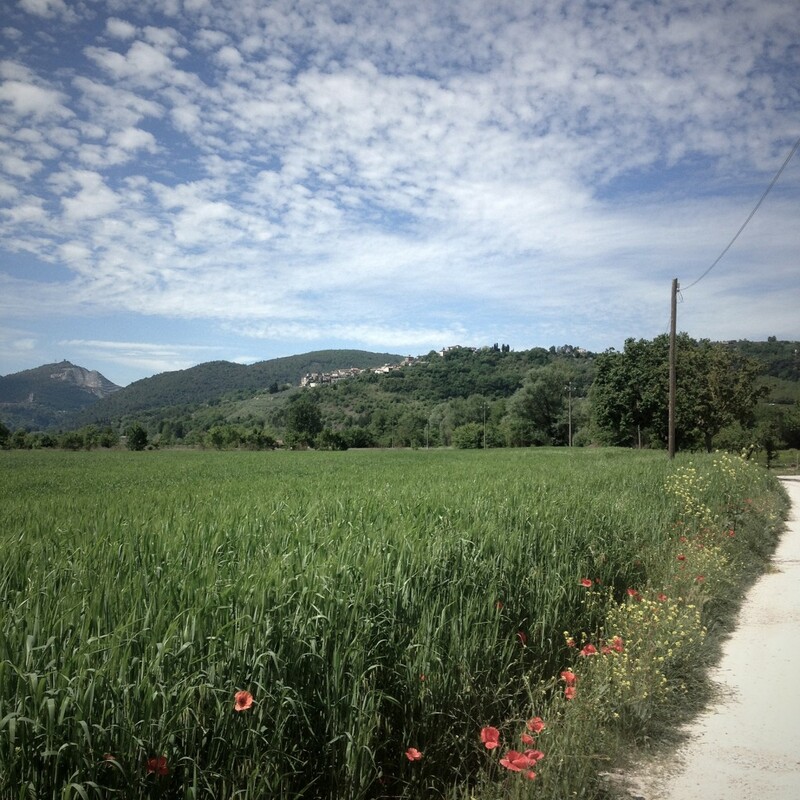 Two months later I was on a train to Pietrasanta that I decided it would have been the starting point of my trip. On the train I met this guy from Congo, he was going to Forte dei Marmi market in order to sell some umbrellas, “hopefully it will rain in an hour and I’ll do great deals in Forte” he said, my wishes about rain were different but I didn’t say a word while looking at the sky getting darker and darker trough the window. My plan was to follow the Francigena Way, a path pilgrims used to do starting from France and going down until St. Pietro’s grave in Rome. Just to be safe I also decided to invest some money in a brand new garmin were I uploaded all the tracks I found in a very well made website called viafrancigena.bike. I don’t really like navigation systems since I’m an old school map guy, but definitely I had no intention to carry with me any extras kilos, so welcome technology. At 9.30 am I was in front of Pietrasanta railway station, just me, my bike, 29 lt luggage well distributed among three bike packs, one only gear (38×16) and this odd garmin. 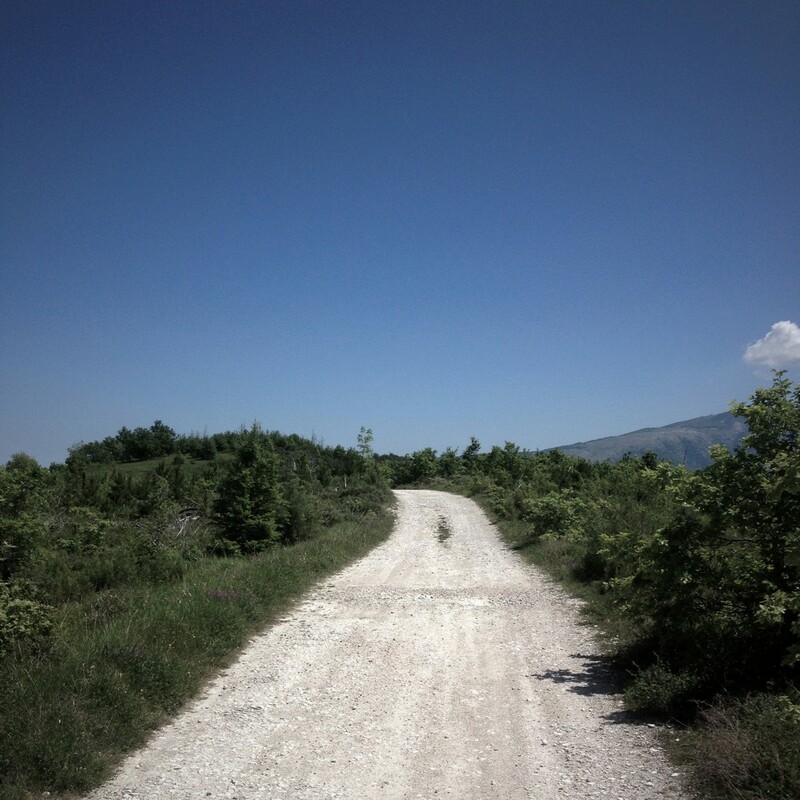 The path between Pietrasanta and Lucca is not that difficult if you look at it on a map but unfortunately pilgrims back in the days were not using comfortable and straight roads, on the contrary they were fascinated by hills and mountains apparently. After 20 minutes of easy cycling I found myself on the climb to Montemagno, a nice and easy road with lot of cyclist around. At the top I stopped nearby a fountain, a tanned guy with the backpack was staring at me while I was filling my canteen. I got back on my bike heading to a little point on the garmin screen called Piazzano. No idea about the difference in height that was waiting for me. Piazzano climb was not friendly as the previous one, I kept on pushing going slower and slower with the image of the guy staring at me nearby the fountain. I did it, I was proud of myself. Going down to Lucca I made a detour to Campo for a friend’s bbq. 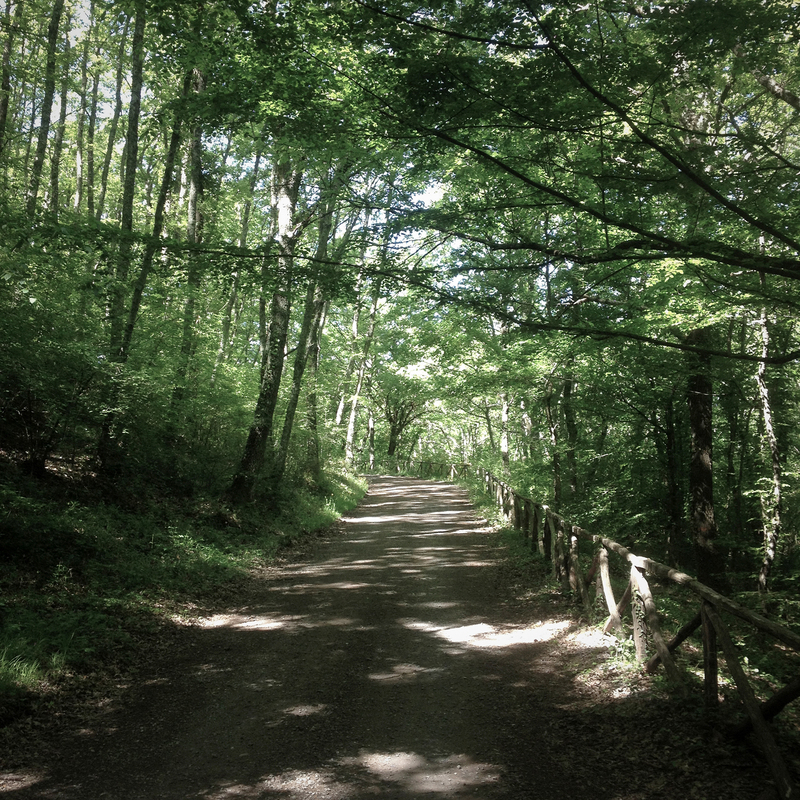 In the afternoon I was back on my bike heading to Lucca along the Serchio on the Puccini cycling way. Riding in those places once again was amazing. After a quick tour of the city and a visit to Cronò bike shop I eventually reached Fano’s house. Fano fed me, gave me a place to sleep and entertained me all evening. “Enjoy your trip and take it easy!” said Fano on the door. I had to be at Lecchi in Chianti before 5.00 pm since I was planning to meet Joao, the founder of InGamba tours. The stage was the longest of the trip, I thought it was a good idea to have it on the second day. Once again roads were beautiful with gravel parts, muddy bush, and breathtaking landscapes. Everything went fine until San Miniato. I then lost the track on the garmin and didn’t realize it, it took me a while to understand I wasn’t following the right course, at least I was going into the right direction, south! After 90 km in 5h I was in Colle di Val D’Elsa, it was 2 pm and the sun was high and hot. I decided to have a break trying to figure out which way to go, dr. garmin wasn’t finding the final destination while mr google maps was unintelligible. I asked a guy on a lurida (street food van in milanese), he first addressed me to a place named Lecchi 20 km away, then step off and consulted with his friend, they were nice guys. 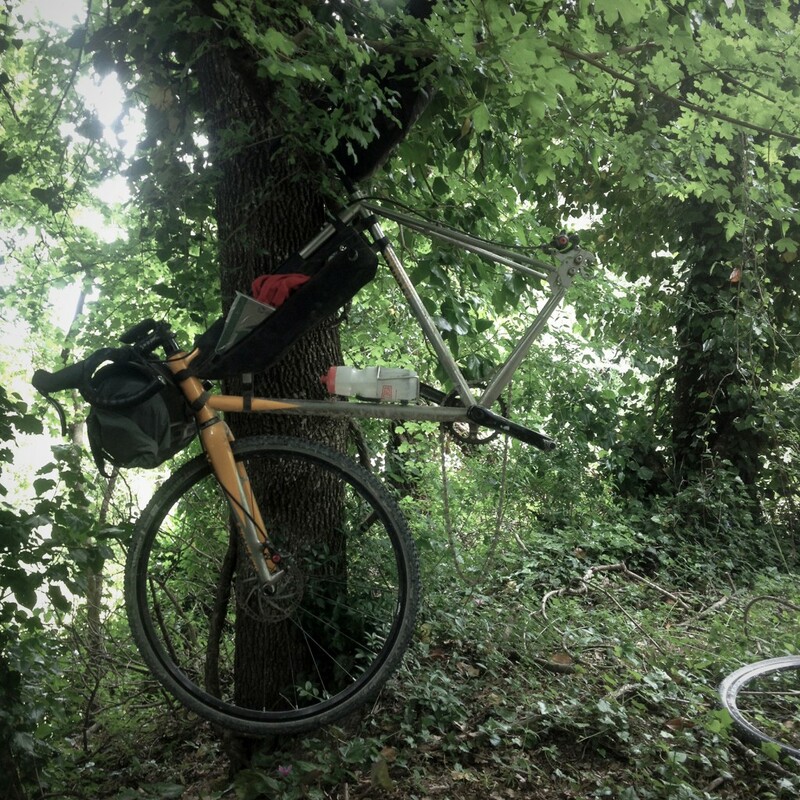 I decided to have a panino con salamella and a coke, good food and drink for healthy people… The lurida guy and friend report wasn’t so good, in order to reach Lecchi in Chianti I had to pass through Castellina in Chianti. This small town sit at the top of a steep hill, the climb is something less than 15km and goes up regularly but endlessly, at the top I was dying from thirst, salamella wasn’t a good decision. At the top a “house of water” (council’s water point) was waiting for me shining and attractive. I crawled to it and suddenly found out water wasn’t for free, it was just 10 cents but for just one second I feared not to have coins, luckily just one ten cents coin came out from my pocket, fair enough. 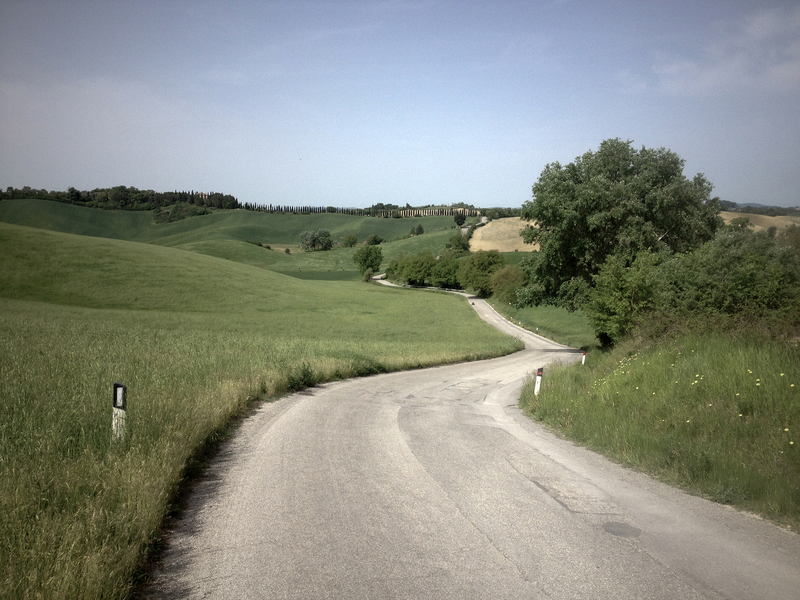 I was kind of in time but I was scared about Mangia e Bevi, the typical up and down of Toscana roads. 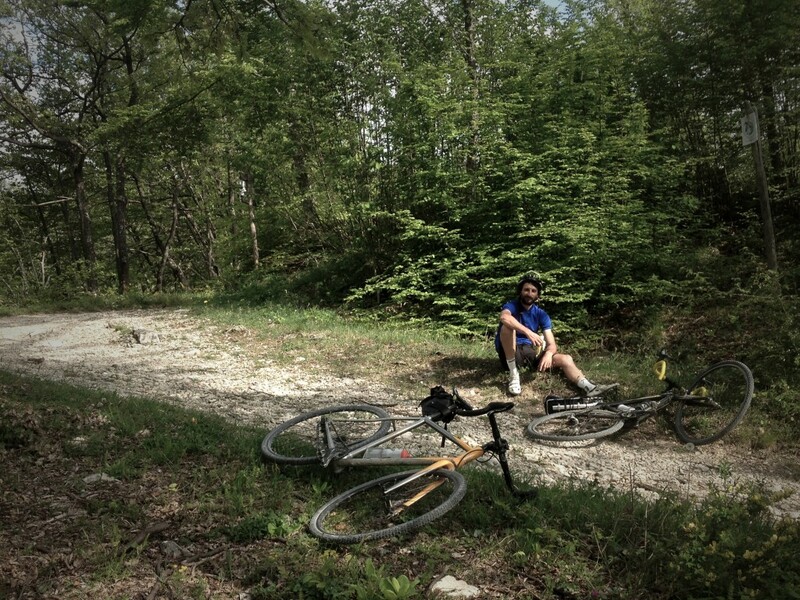 The last 25 km where a complete Mangia e Bevi, but I arrived in Lecchi on time. Night dining with InGamba guys and drinking at the local bar with old guys talking about -Expo. No Francigena way today. 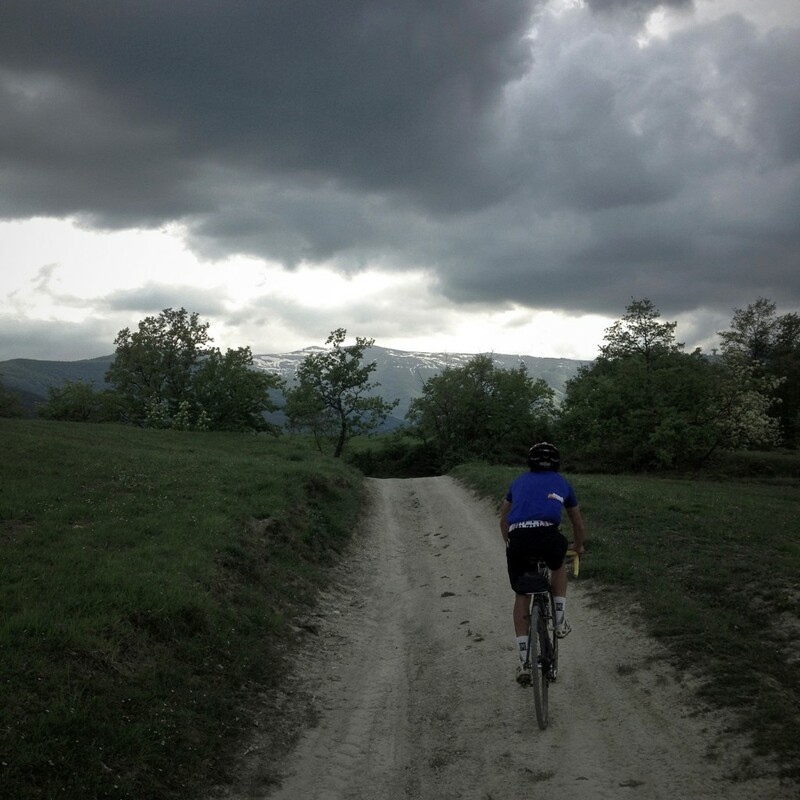 I was on the Eroica route. 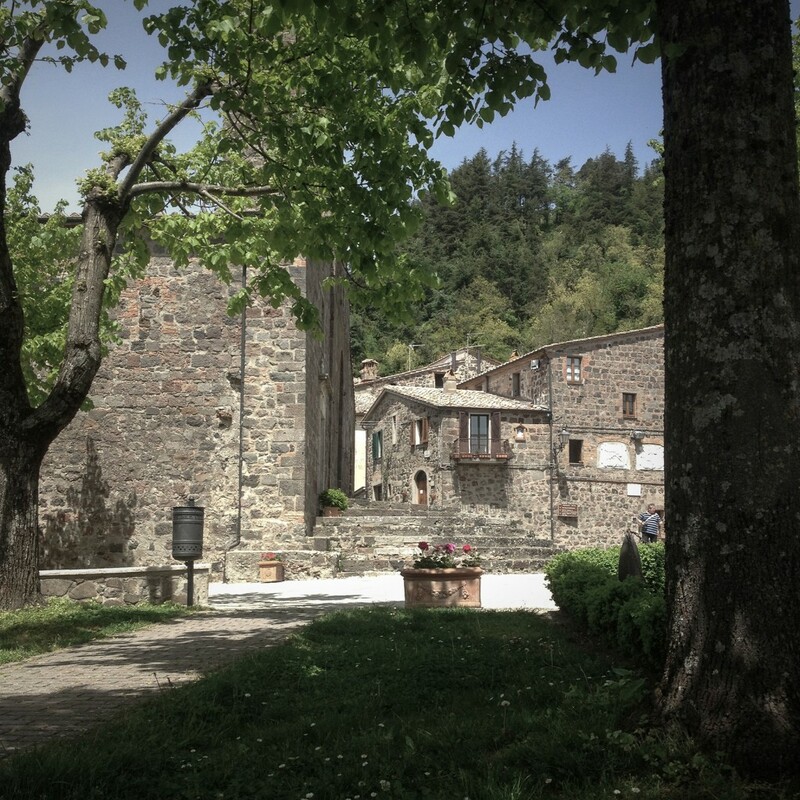 Castello di Brolio, the first small climb of Eroica, was just few km away from Lecchi. I’m fascinated by Eroica and the first part of the 205 km itinerary was perfect for my plan. I then experienced once again the Eroica feeling and views, finally on a cx. 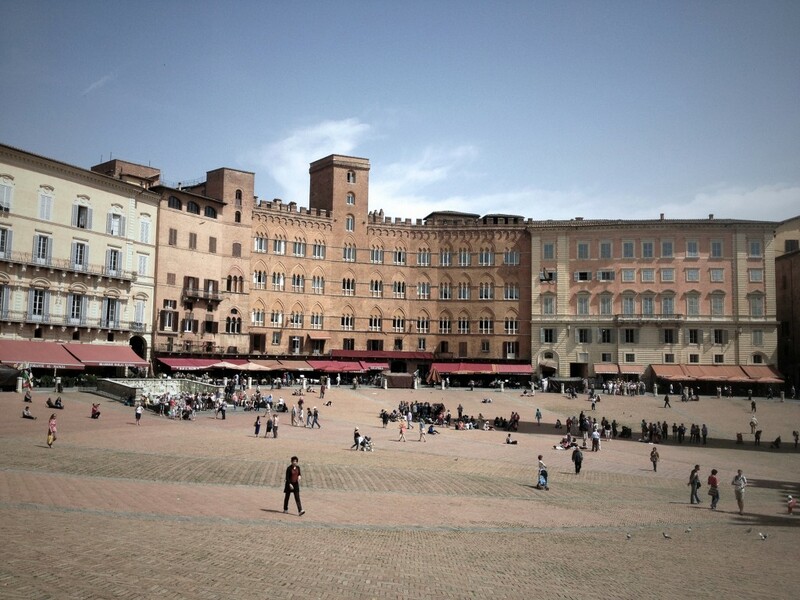 I felt happy reaching Siena, not even being stopped by a policeman disturbed my serenity (in Siena centre you can ride horses but not bikes). 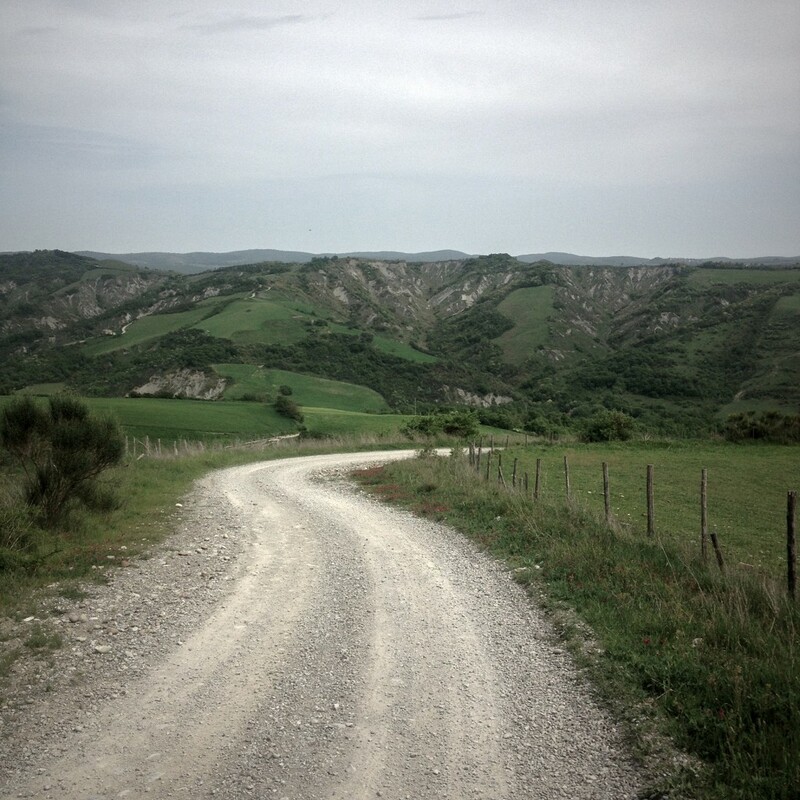 After Siena I took again the Eroica route heading to Montalcino. 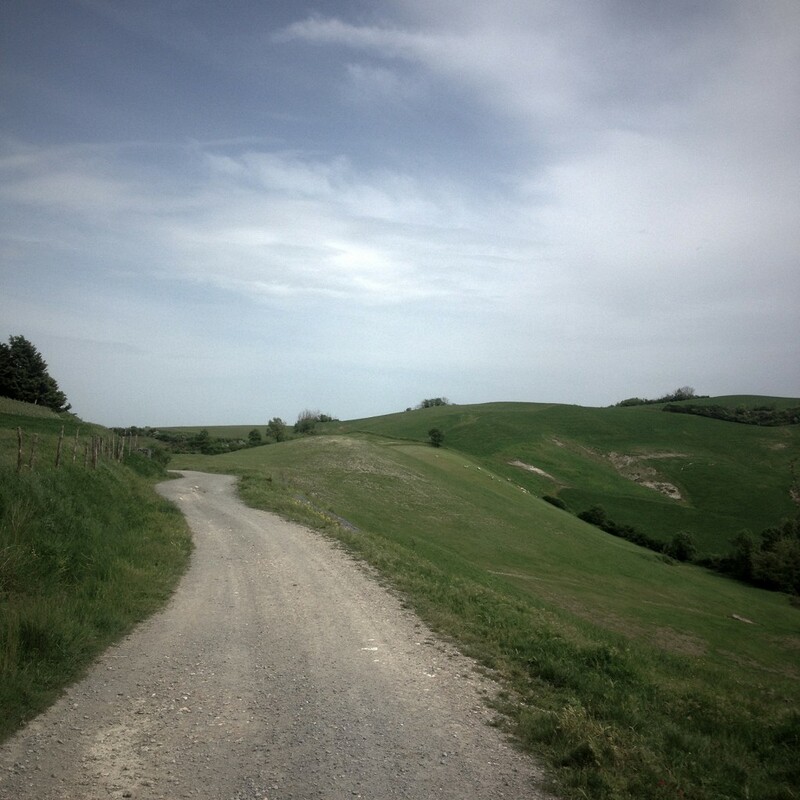 Suddenly a strong wind rose, the friendly surroundings turned into dusty plains, I resolved myself not to swear anymore but nothing changed and at that point Montalcino gravel climb popped up. I wasn’t expecting that but I did instantly remember that climb during eroica 205 km, it’s a nightmare. The 15% slope sign appeared, my enemy. I try to keep on pushing, thinking about traction, then thinking about Alexey the lone wolf as inspiration, than starting zigzagging, I was going up so slow that it looked more like doing surplace rather than cycling. At the end a car came and I was forced to dismount. I maybe did 500 m on a total of 10 km of the climb, I did the rest by walking. It took ages, the only good thing was spotting three deer on the way. I did few parts riding while going up. As I reached Montalcino I went straight onto a bar, panino con prosciutto crudo e formaggio, crostata and a coke. Another one, I never drink coke normally. Ok apparently San Quirico is just few km away in what seams to be an easy ride. 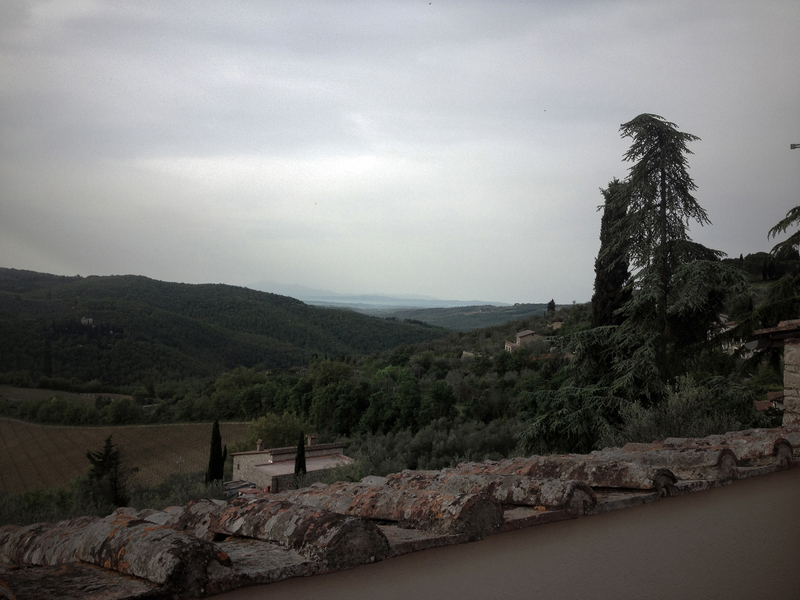 I decided to take a look at Montalcino, nice town, surrounded by walls on the top of a hill. My legs weren’t replying anymore so I just kept going down through the small streets heading to the highway. 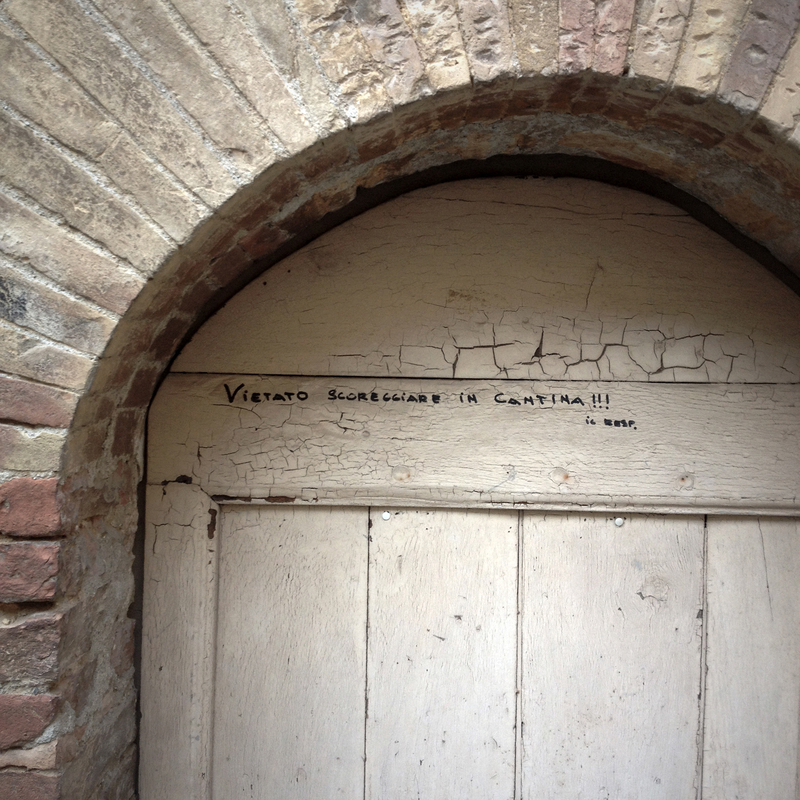 But the small streets became gardens, the gardens became fields and the fields became forests. 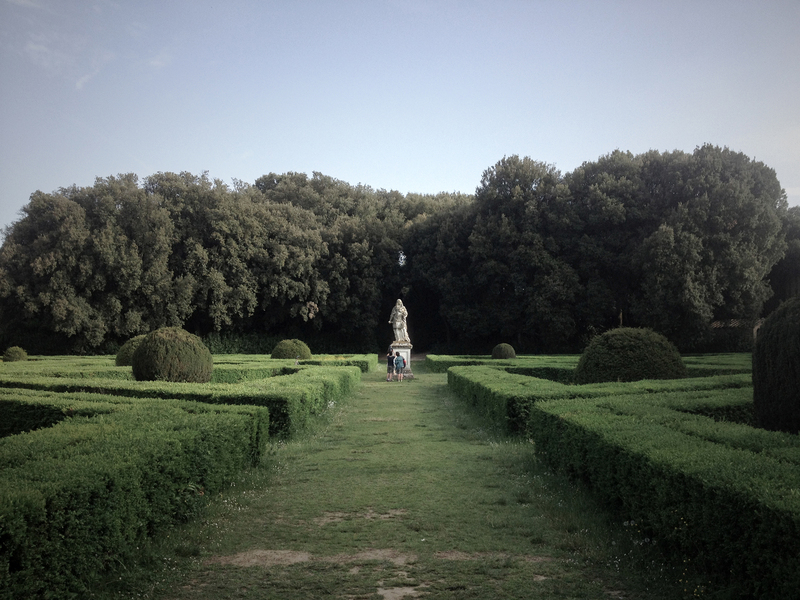 I was 200 m away from Montalcino centre lost in a bloody forest, why me? No way, I wouldn’t have climbed back. I kept on going and luckily find a path, back to 21st century but in a wrong highway. 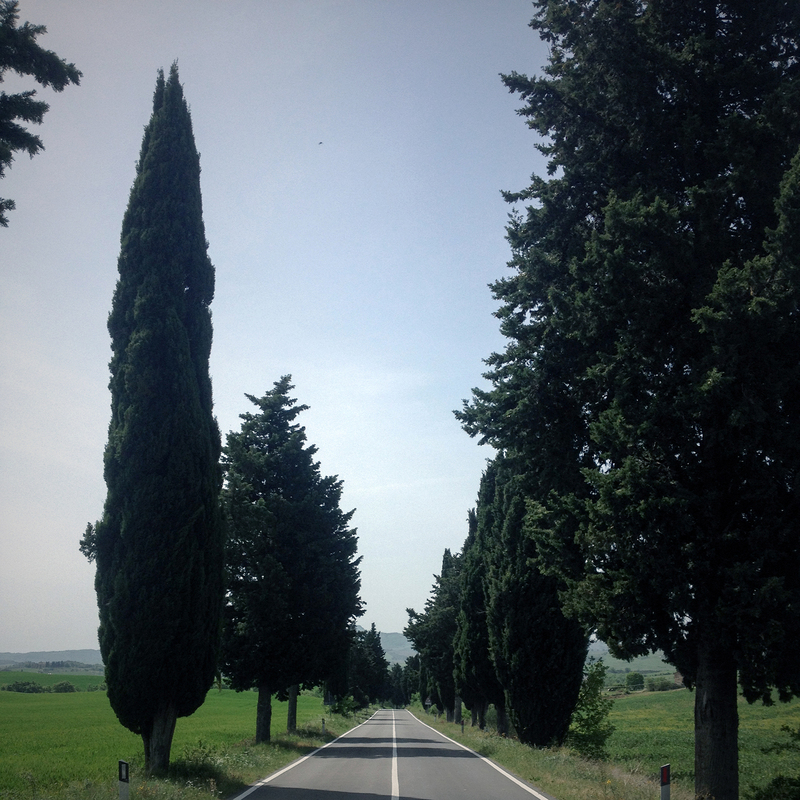 The only way to reach San Quirico was going back to Montalcino, I’m really bad in shortcuts. This was probably one of the best days but was also the first day of the “morning problem”. Starting riding I felt something wrong, I stopped, checked tyres and brakes, crankset, luggage. Everything was fine, my legs were simply not turning properly. Anyway the path was easy and the views were spectacular. Remember when I was saying pilgrims didn’t follow the easy way? 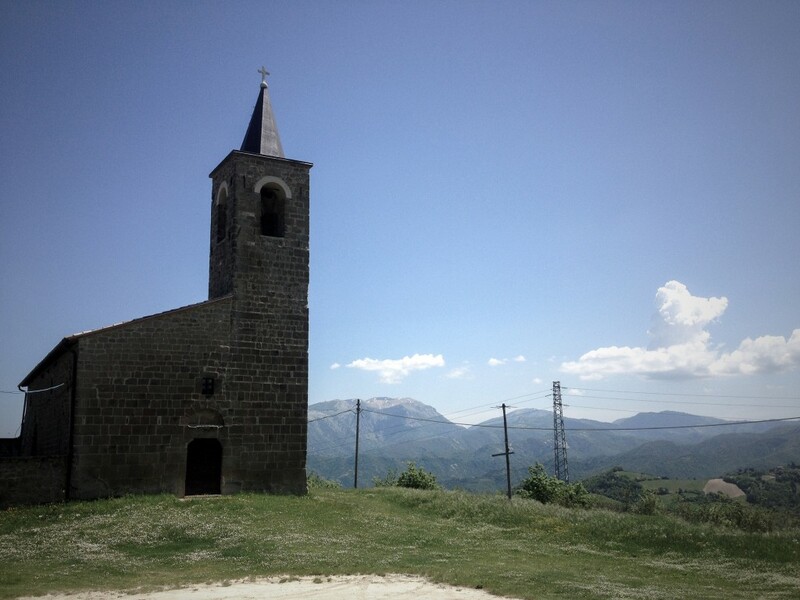 Well today pilgrims decided to visit Radicofani a tiny village on the top of a 900m hill, the climb was exhausting but the park of Radicofani worth it. “no bikes allowed” stated a lonely sign, but nobody was around and no policemen were applying laws. I also had a memorable lunch with strozzapreti con salsicce e carciofi with water and of course a coke. Back on the road the gravel down hill from Radicofani was waiting, it was so fun, the bike went smooth and the luggage held fast, it also helped my digestion I think. At La Sbarra I had my first flat tyre, it was ok, I stopped on a nice spot and start working on the tyre. The place was so peaceful and bucolic that I wouldn’t have been surprised if a pair of squirrel had come in my help in a Disney way. 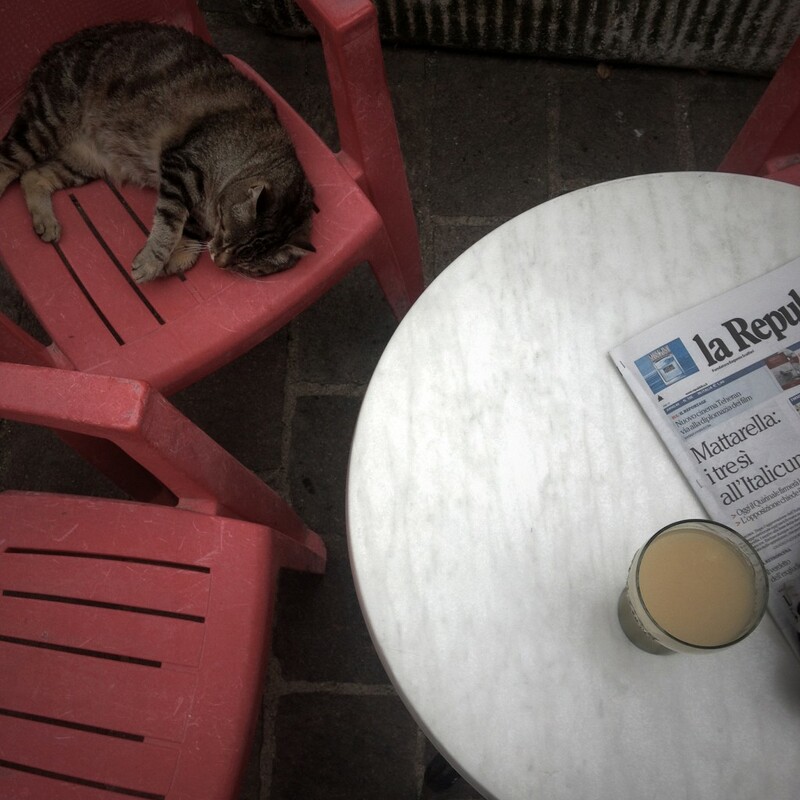 At la Sbarra in a bar I had a mordicchio with two succo di pera, I red the newspaper and cuddled a cat. The road kept on running easy, right before San Lorenzo Nuovo I stopped at a mechanic workshop searching for some lubricant for the chain. A young guy came out with a dirty can full of black oil stating “this is what I use for my bike”, not even the time to answer and he started spreading the slimy oil all over the chain, the result was astonishing, even now after almost two week the chain is still running smoothly. I have to find the number of that workshop and ask the guy the secret recipe of his magic potion. 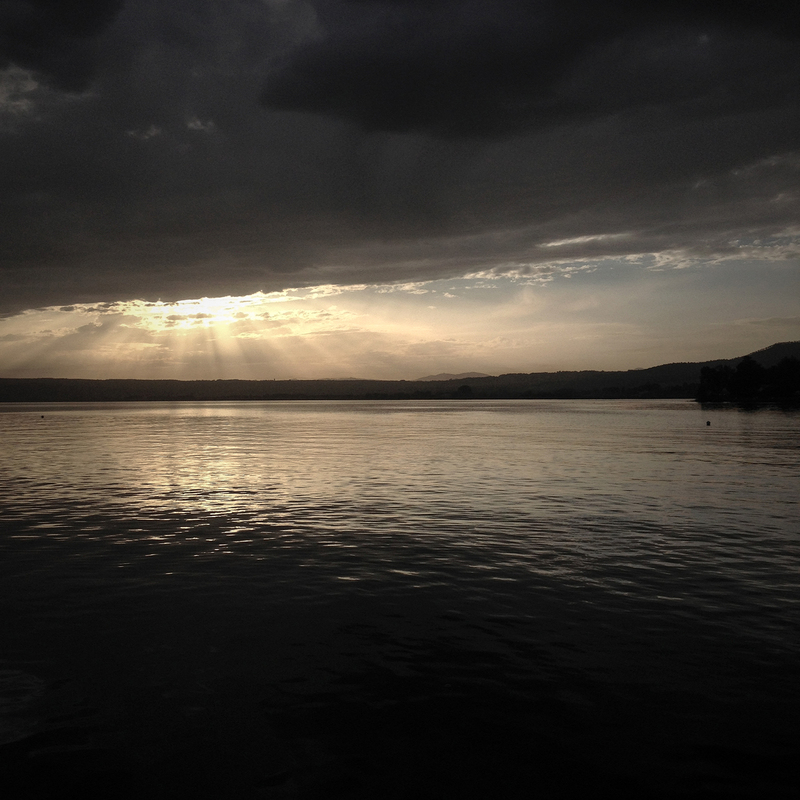 As I reached the top of the climb the majestic view of Bolsena lake displayed in front of me. 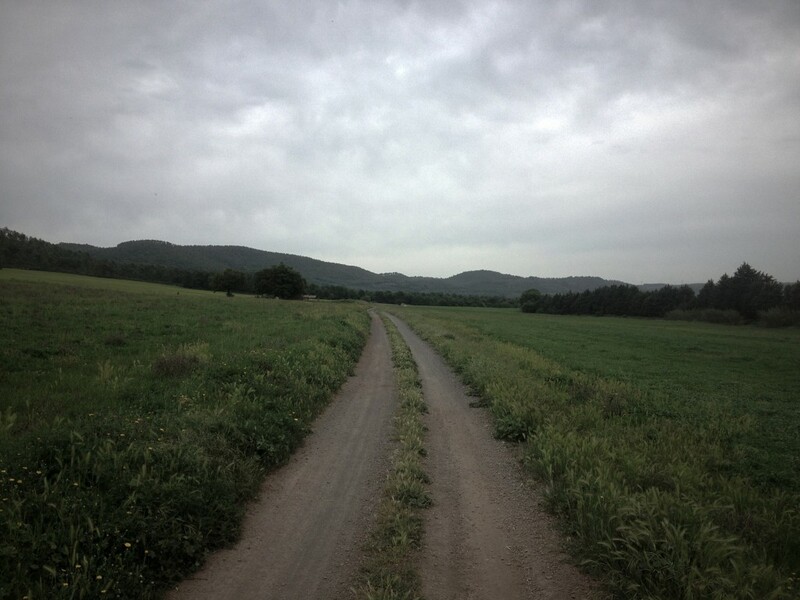 A road sign informed me that I was only 10 km from destination, but God works in mysterious ways and following Francigena track I had another 20 km across the countryside, probably one of the best segment I did on my trip. 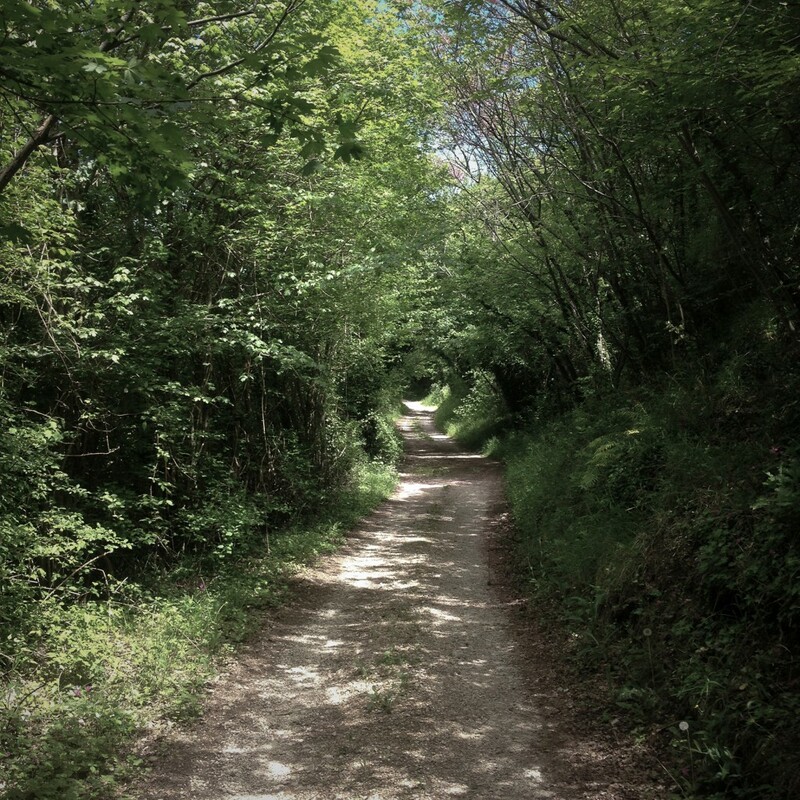 This was my last day on the Francigena way, the path kept on going south while I had to cut East. As I start riding I felt some problems again, I still didn’t developed my “morning problem” theory so I stopped and checked everything. As usual the bike was fine, I wasn’t. 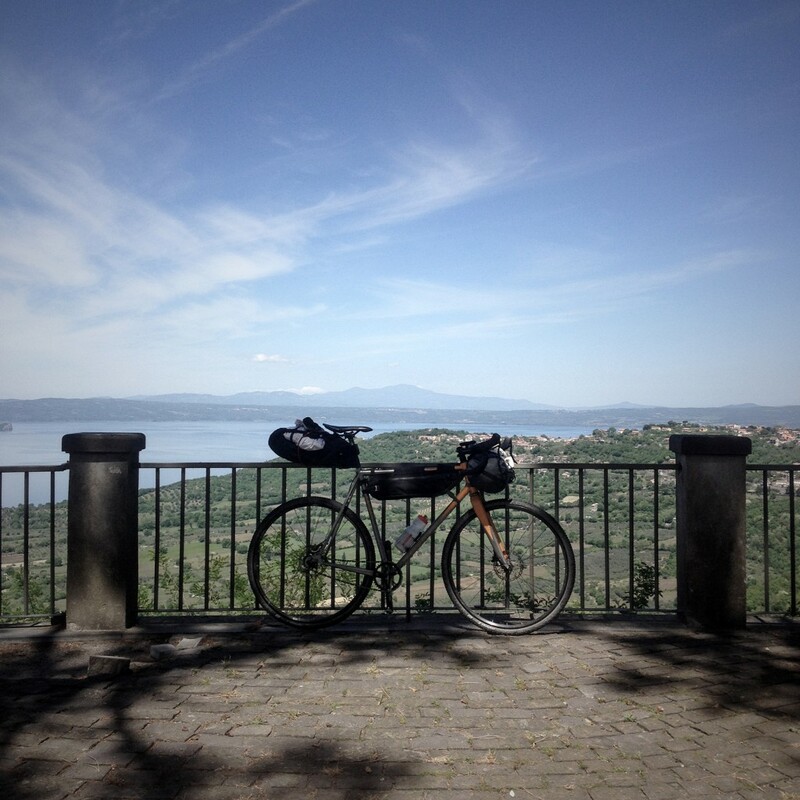 Anyway the climb to Montefiascone was nice and easy, from the top I had the reverse shot of Bolsena lake. 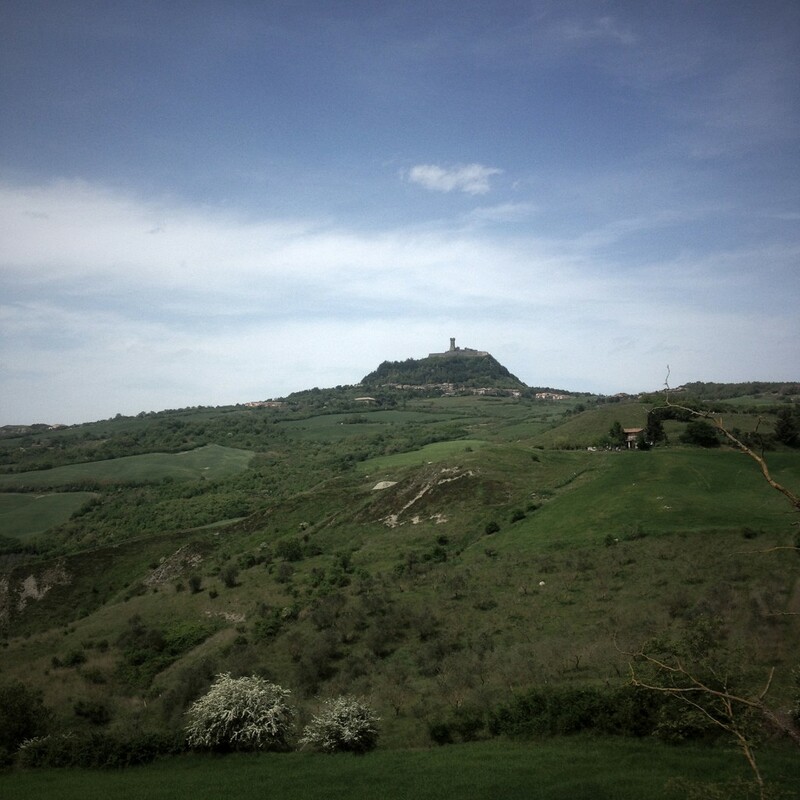 From there the itinerary gently run down to Viterbo crossing the countryside. Viterbo was hot and noisy, I wasn’t accustomed to traffic anymore. 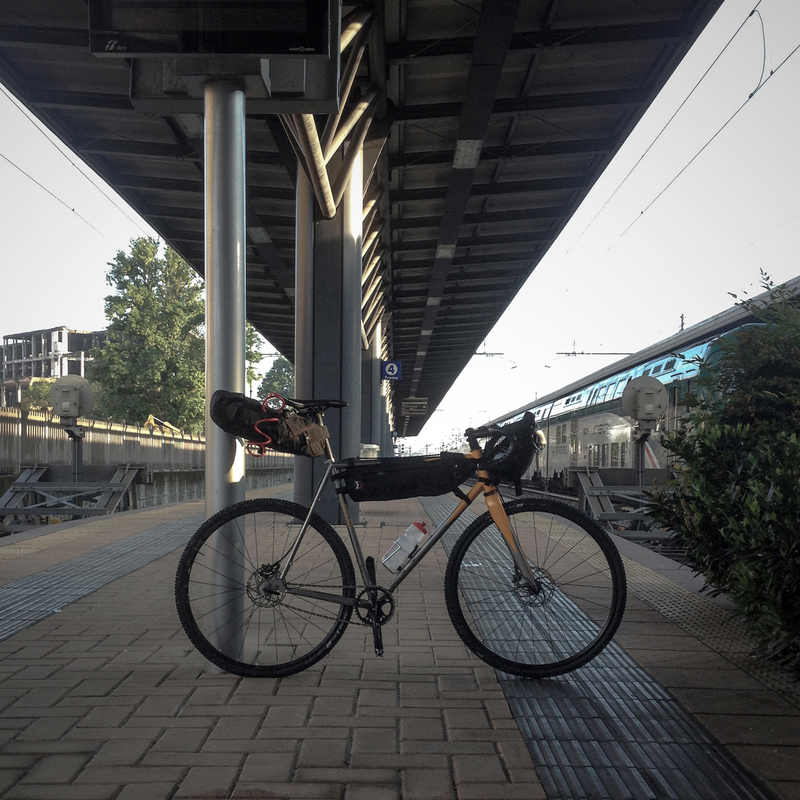 I had a break and go back on the road heading to Terni, good by Francigena way! In Narni I had some problems finding the way, apparently the only option was the highway, to be sure I asked to a fuel station, the guy welcomed me with “full tank?” yeah funny one, then stated “the only way to reach Terni is the highway for at least 3km.” How is it possible? I was baffled. 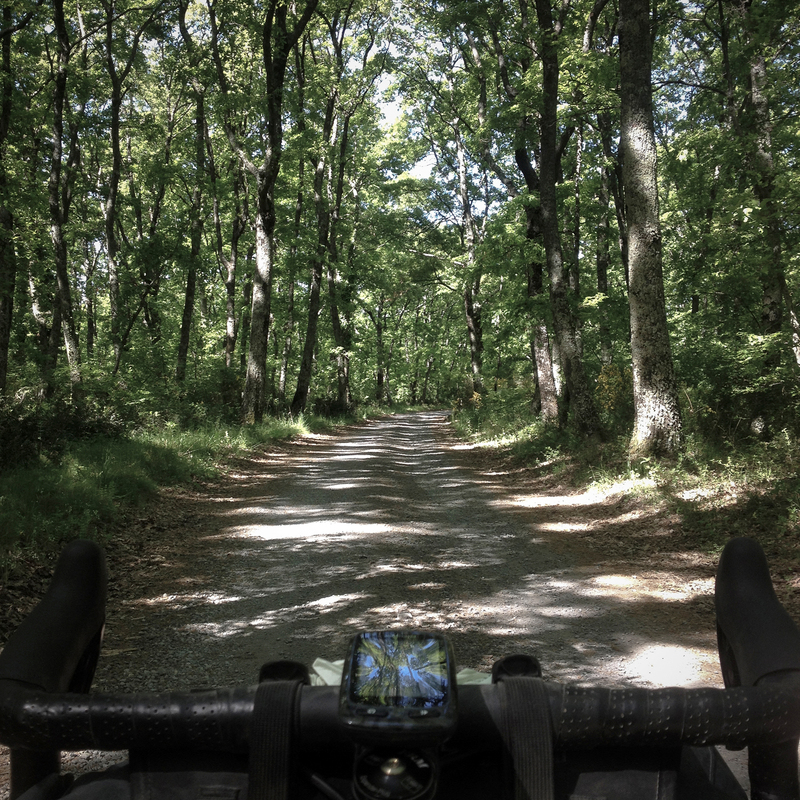 My last chance was to ask to the evil garmin for a solution and, surprise, it found it! 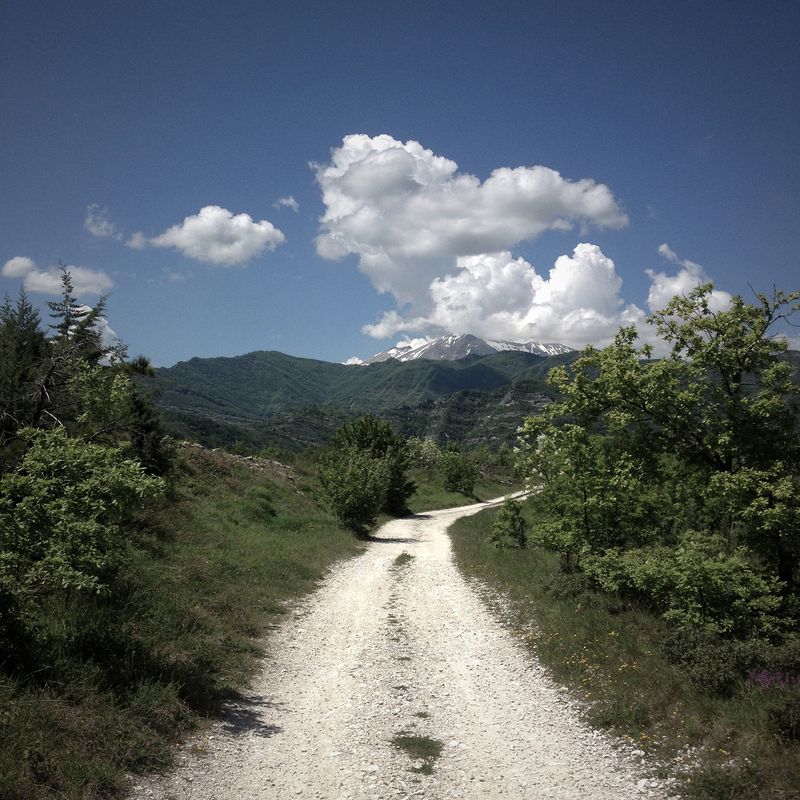 With a curvy path I avoided the highway and regained the way to Terni. At night I was hosted by my friend Riccardo A.K.A. Bri A.K.A. Bingo a university mate. As an architect he had this electoral dinner he couldn’t miss, shaking hands it’s a big part of being a successful architect. He lent me a shirt and brought me to the dinner. I was confused by the crowd and spent most of the time talking with a council member about mobility. I think I did a good job not falling asleep while dining. I decided to have a break and take a train, I had to recover before the race and had no intention to pedal another 90 km to reach Acquasanta. I then checked the trains schedule, it was crazy. In order to reach Acquasanta I had to go to Ancona (on the Adriatic sea) then to Ascoli Piceno and the cycling to destination. Five hours on a regional train? no way. I double checked the distance asking both mr google and dr garmin. As usual they didn’t agree. While I was racking my brain about it I asked advice to Alexey the Lone Wolf. The reply was peremptory “Go by bike, you’re almost there, the sooner you go the sooner you’ll be relaxing at the SPA”. Oh yeah thermal baths! I did forget about them waiting me in Acquasanta. I was determined, furthermore dr garmin was suggesting me an easy 70 km route. I didn’t check it twice and hit the road. I checked the bike before starting, no problems but as I started riding I felt something wrong, once again I was the problem, I knew that so I didn’t even stop, screw you “morning problem”! 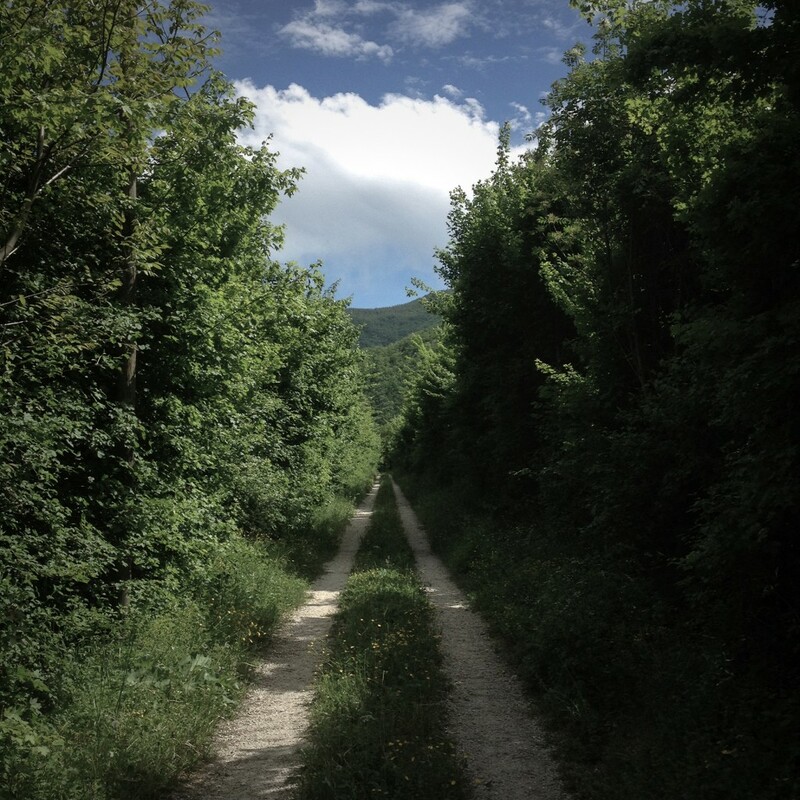 On my way to Norcia I came across the Nera river greenway, a pedestrian and cycling path along Nera’s valley. I felt happy and thankful to Alexey. 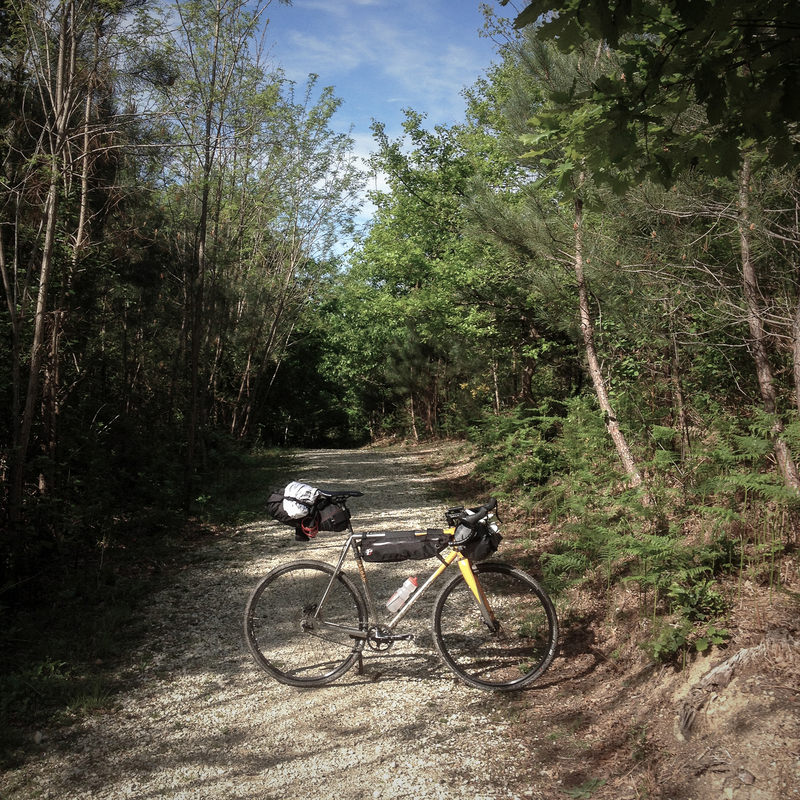 The gravel road followed the old trail of the railroad, beautiful views and picturesque tunnels. I couldn’t ask for more. 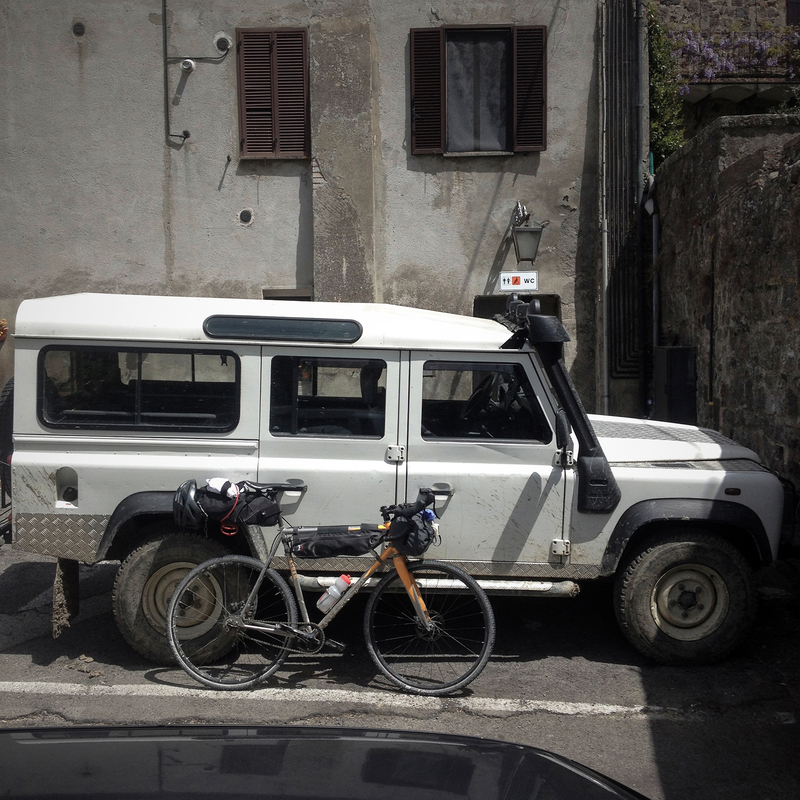 I had a flat tyre but it was ok. Everything ran smoothly until Norcia where I stopped for one of the best panino alla porchetta of my life, and a coke of course. Just to be sure I stopped at a fuel station asking for directions. “Full thank?” asked me the guy as I approached the pumps, an evergreen gag around here apparently. The info I received weren’t so funny tough. The easy way to reach Acquasanta was trough a 5km gallery on a state highway, but cyclist were officially not admitted, otherwise there was the Forca Canapine road, a 23 km climb which was hard according to the fuel guy and really hard according to the fuel guy’s friends. Once again I didn’t know what to do, it was late and I didn’t want to do the downhill with darkness. I decided to commit myself to dr garmin, “it’s made for cyclist_ I thaught_ it will know what to do”. Half an hour later I was in front of the tunnel entrance. God will punish you dr. garmin. I was confused and nervous, after waiting for a lift I took what seemed to be the best option at that moment, walking up the mountain over the tunnel’s path. There was the shadow of a track and I started walking, no way to pedal it. After 45 min I found myself in the middle of the valley, the track disappeared and the slope wasn’t decreasing. I cursed at me, I cursed at Alexey, I cursed at the fuel guy & friends. While climbing I thought about all those species of animals being revived I was so happy to read in the newspaper. Wolves, bears and boars; it’s easy to support Mother Nature in a bar in Milan. Here I felt totally different about the issue. Another 30 minutes and start distinguish the top of the mountains trough the woods, then I spotted some chair lift poles and some houses, civilization! It took me another hour to reach the road. 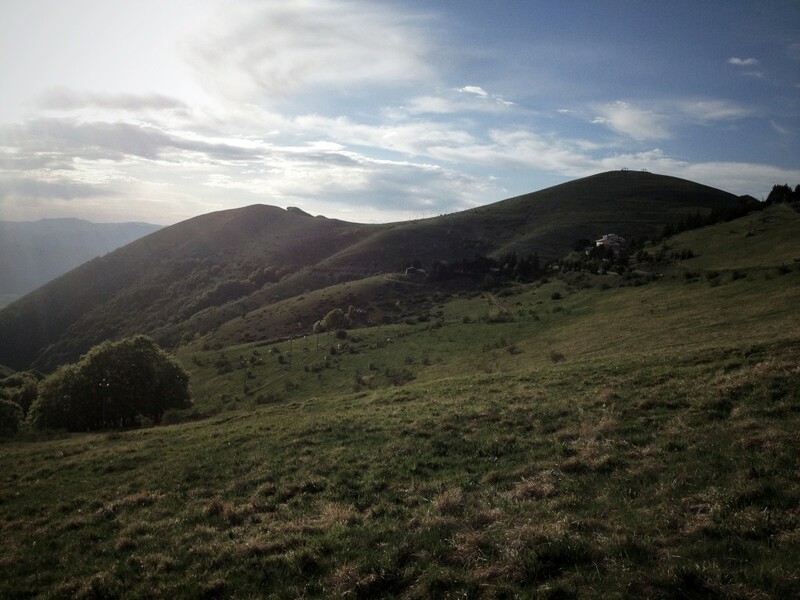 At 7 pm I was on top of Forca Canapine, I was wasted but satisfied. 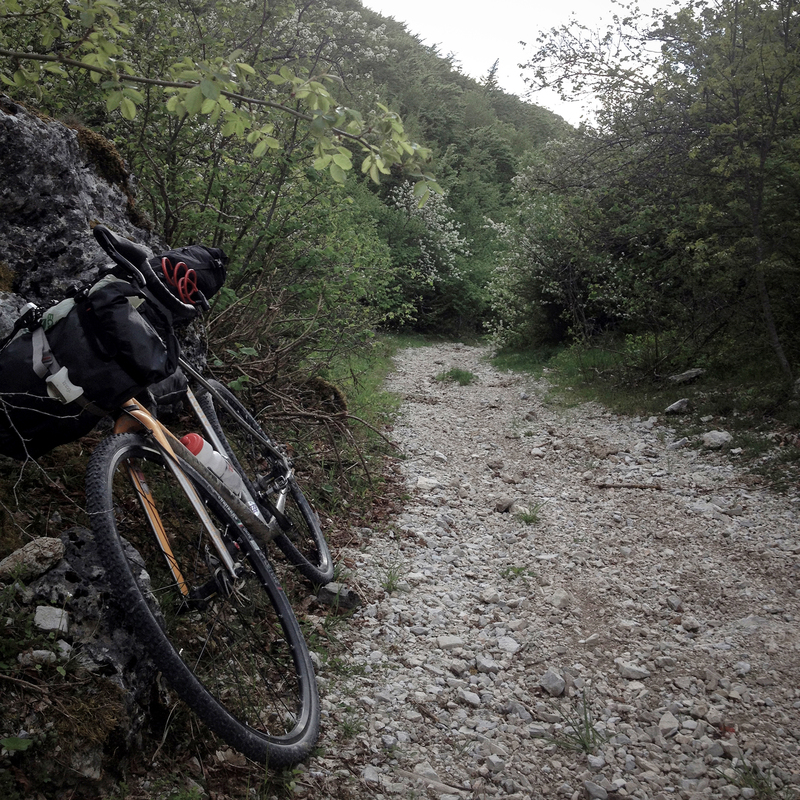 Another 20 km descending and I was in Acquasanta, no thermal baths for me but no wolves too. Night drinking with Nicola, the race’s organizer, his family and other friends. Nothing to say. I unpacked the bike and changed my rear pinion to an 18 teeth. 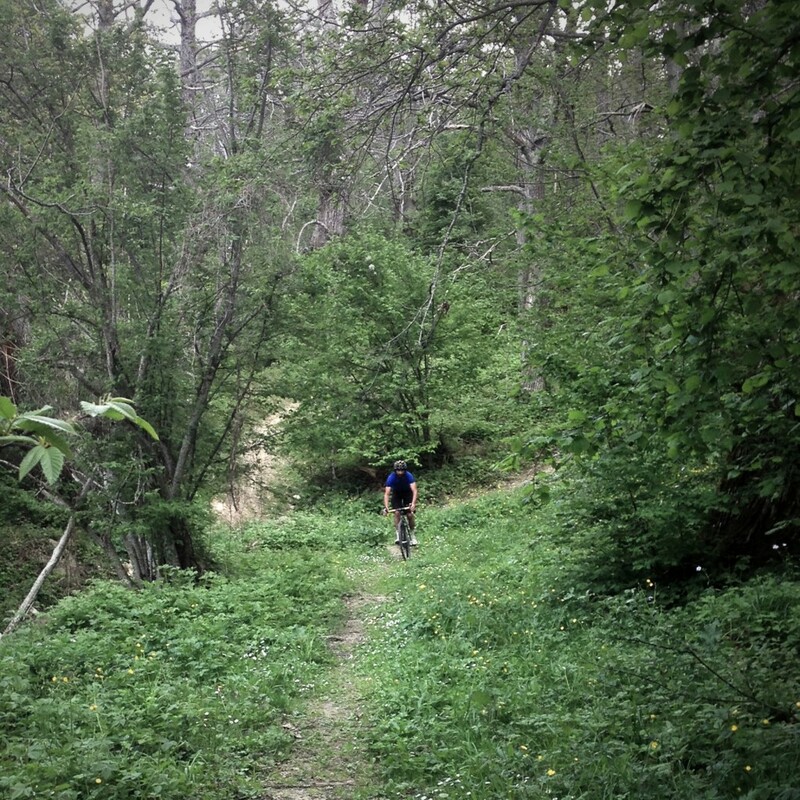 The bike was flying , then the first unpaved climb began and memories became blurry. a great barbeque with local wine, formaggio e salame. After the great exploit in the race I moved to Ascoli Piceno together with others, in Ascoli a friend of mine, Valerio from ABC bike couriers, organized a bike tour of the city with an experienced guide. We visited some of the roman ruins, churches and a baptistery. It was my first time in Ascoli and I wasn’t expecting to find such a nice city. I’m so ignorant. Night drinking with Valerio and friends hosted by Il Grano bakery, a small shop ran by one of Valerio’s friend (I can’t recall the name as usual). The pizza made with bread dough was delicious. At 8 am I set on the train, the plan was going back using regional lines in order to avoid bike disassembling, I would like to thank the train national company for the effort they put in making hard going on a train with bikes. You are doing a very good job guys! Anyway in Ancona I jumped on a second train and started to go back to my digital life, I didn’t miss it but there was nothing else to do. While looking at various socials I bumped into Strava and had a bad surprise. There was 50 km missing for the Specialized Spring Classic (1250 km in 40 days)! My thoughts went to all the times I didn’t use that bloody app in the past 40 days and even if I’m not a big fan of social I resolved myself to accomplish the challenge. I got off at Casalpuserlengo and pedaled 51 km to Milan going through one of the worst state highway Lombardia has: la via Emilia. Sure it was the worst ride of the entire trip but the challenge was completed and I now have the opportunity to buy a special canteen from specialized! For only 25 euros! How lucky I am? I’ll never do another challenge again. Anyway it was a great trip but I’m still unemployed so, if you’re looking for an experienced interior designer, just ask caniscioltivaltellina for my resume and portfolio. voglia di partire. Bel report!